The Tokyo police are investigating a man who attempted to join IS. There are reports coming from several Japanese news outlets that a 26-year-old male Japanese university student had imminent plans to travel to Syria and attempt to join the Islamic State (IS). Such news is exceedingly rare for the constitutionally enshrined pacifist country, whose human contributions to war-torn and disaster-stricken areas are more likely to be aid workers and volunteers. While the details surrounding the student’s reasons for wanting to join the world’s newest and most notorious terrorist group are scant, his attempt highlights how removed Japan is from the deteriorating situation in the Middle East. If the suspect is found to have been actively preparing to participate in an ongoing conflict, he could face three months to five years in prison as part of the Penal Code. A U.N. Security Council meeting on September 25 adopted a resolution that declared “member states should prevent and suppress” the recruiting of fighters who travel to countries where extremists gather. Southeast Asian countries including Indonesia and Malaysia, and even Australia, are currently attempting to counter the traffic of these new IS jihadists between their countries and the Middle East. Japan has very little actual experience in dealing with this particular type of threat, beyond Prime Minister Shinzo Abe promising further aid and non-combat support to Japan’s allies during the last U.N. General Assembly. The only other instance is the still somewhat mysterious kidnapping of Haruna Yukawa by IS. In that case, varying reports indicate that he was there to offer the services of his own private security outfit (a very unlikely outcome given his background), or that he was attempting to help and possibly offer medical services to Syrian rebels fighting both IS and the Syrian regime of President Bashar al-Assad. Either way, the Japanese government has been unsuccessfully attempting to negotiate his release for more than six weeks. It has little operational knowledge about what is happening in the region, as even its diplomatic mission in Syria has been removed to Jordan. 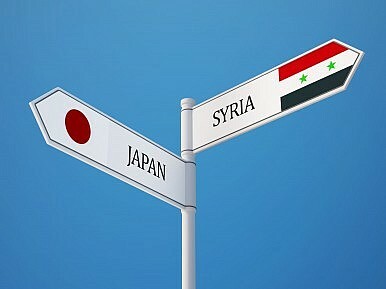 Discovering attempts to join the conflict with IS on its own soil will be difficult for the Japanese government, as it has little means of tracking its citizens in those countries, should they decide to join a terrorist organization.